After my article on towing a vehicle with four wheels on the ground I received several requests for more information on towing a vehicle with a tow dolly. What is a Tow Dolly? A tow dolly is a two wheeled trailer used to transport the vehicle you are towing with the drive wheels off of the ground. Tow dollies are a good choice when the vehicle you are towing cannot be towed with all four wheels down or if the vehicle would require expensive modifications to tow with all four wheels down. Tow dollies are manufactured to accommodate a certain size vehicle. They must be able to handle the width and the weight of the towed vehicle. Like everything else tow dollies have maximum weight ratings too. When you purchase a tow dolly make sure that it is designed to support the weight and size of the towed vehicle. Some dollies are adjustable, meaning the same dolly can be set-up to tow different size vehicles, and others are made to tow just one size vehicle. Normally the width of the towed vehicle determines the size tow dolly. Check with the tow dolly manufacturer before making a purchase. Note: Matching the wrong vehicle and tow dolly can result in damage to the towed vehicle. Some tow dollies come equipped with brakes and others do not. 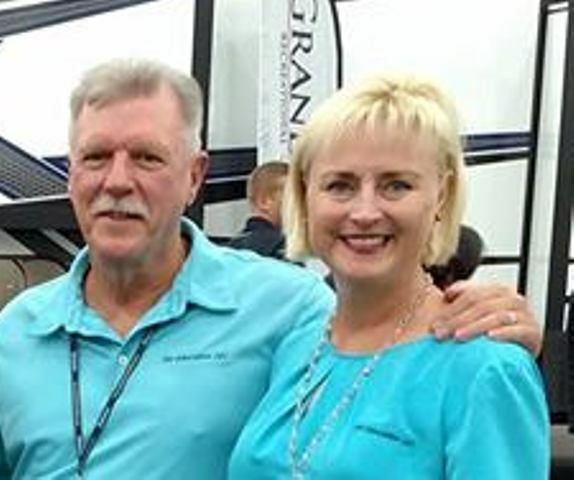 Check with State or Province laws and the motor home chassis manufacturer about the requirement for a towed vehicle braking system based on the amount of weight you will be towing before you purchase a tow dolly. Before loading the vehicle unto the tow dolly make sure the tow dolly coupler is properly attached to the ball mount and that you are using the proper size hitch ball for the coupler. Use a safety pin or clip to secure the locked coupler. Attach the safety chains or cables making sure they are crossed, “X” to form a saddle that would prevent the coupler from contacting the road surface in the event of a separation. Plug the light cable in and check all of the lights for proper operation. Follow the tow dolly manufacturer instructions to determine the proper hitch ball height. Note: Because tow dolly manufacturers have different operating instructions it is essential that you follow the tow dolly manufacturer’s specific instructions for proper loading, unloading, and vehicle tie down procedures. Perform these checks before each travel day. * Check and adjust tire pressure to manufacturer recommendations. Check when tires are cold before traveling more than one mile. * Check wheel lug nuts. Tighten to manufacturer specifications. * Check that wheel hubs and bearings are properly adjusted and lubricated. Follow manufacturer instructions or have them checked by a repair facility. * Check that all nuts and bolts are properly tightened. Do not use the dolly with any loose or damaged hardware. * Check that the coupler is properly secured to the ball mount. Note: Follow manufacturer instructions for adjusting coupler tightness. * Check the safety chains for proper attachment. * Check all lights for proper operation. * Check that the tow vehicle is properly secured to the tow dolly. Note: Follow manufacturer instructions. * Make sure the towed vehicle parking brake is released after it is properly secured to the dolly. * Stop after 10 miles of travel to check the tie down straps. Readjust as required. Check every 100 miles afterwards as a minimum. * Do not attempt to back the tow dolly when vehicle is loaded on it! * Perform all pre-trip checks before using the tow dolly. * Make turns wider than you are accustomed to. Do not attempt to make sharp turns or U-turns. If you turn to sharply the vehicle you are towing can come in contact with the tow dolly fender causing damage to both the towed vehicle and dolly. * Do not attempt to back the loaded tow dolly. Backing can damage the tow dolly and the towed vehicle. * Allow a safe following distance, and anticipate all stops in advance. * Do not speed, drive at a safe speed and keep in mind the dolly is wider than some vehicles towing it. Stay centered in your lane of traffic. * If you experience excessive sway it may be caused by an improperly loaded tow dolly. Stop when it is safe, check and retighten the tie downs, or reload the vehicle. Check tie down straps every 100 miles at a minimum. * The towed vehicle should always be facing forward on the dolly. A towed vehicle loaded from the rear can contribute to trailer sway. * Never allow any passengers to ride in the towed vehicle. 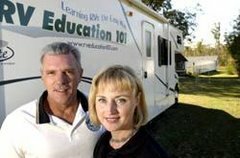 Our Checklist’s for RVers E-book has over 90 pages with 40 checklists covering all RV related topics.